Air New Zealand says the fuel shortage at Auckland Airport is “unlikely to have a material impact” on its 2017/18 financial results. The airline has cancelled scores of flights and diverted others since Sunday, after a pipeline which connects a refinery to the Wiri Oil Services facility near the airport was damaged, resulting in supply being reduced to only 30 per cent of normal usage. Some aircraft have been ferried empty to Wellington to take on fuel before operating long-haul services to Asia or the Americas, while there have been limitations placed on cargo. Further, there have been restricted ticket sales on some international services. In its latest update on Wednesday, Air New Zealand said its domestic network was “operating largely as normal” and the situation was “beginning to stabilise”. “It now believes the need for further schedule disruptions will ease,” the airline said in a statement. Recently, the company reported net profit of NZ$382 million (A$351 million) for 2016/17, down 17.5 per cent from the prior year as it battled the arrival of new entrants into its home market. In terms of the outlook, Air New Zealand said on August 23 it was “aiming to improve upon 2017 earnings” in the current year. 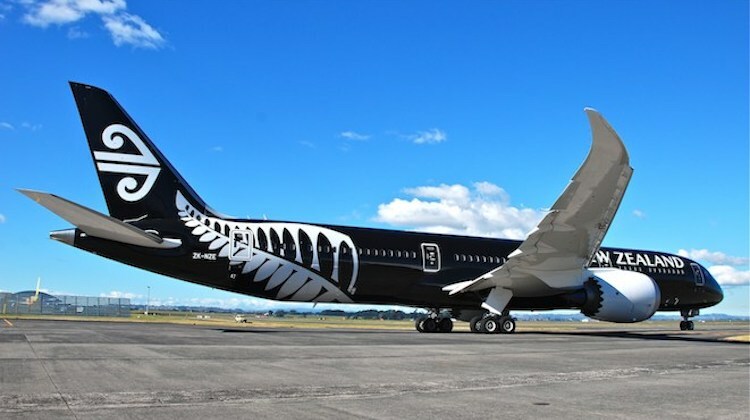 On Wednesday, Air New Zealand maintained its position on the impact on its financial results that was first expressed in a statement to the market on Monday that the situation at Auckland would not have a material impact on the airline’s profit in the current year. “Based on information available at this stage, Air New Zealand believes the fuel supply issue is unlikely to have a material impact on the FY18 annual result,” Air New Zealand said. “The airline remains in close dialogue with key stakeholders including government, its agencies and fuel companies. Air New Zealand has published a list of flight cancellations on its website, which lists three more cancellations on Thursday alongside the 21 flights cancelled for Wednesday. Foreign carriers too have been forced to make alternative arrangements. Singapore Airlines (SIA) said its SQ286 Auckland-Singapore flight would make a refuelling stop in Sydney on Wednesday and Thursday, while Cathay Pacific CX198 is stopping in Brisbane enroute from Auckland to Hong Kong. Virgin Australia and Qantas have also told their customers some services may be cancelled or diverted.